Cramm Yachting Systems is a global market leader in the design, development and construction of hydraulic equipment for superyachts. We supply passerelles, ladders, cranes, sliding beam cranes, doors, hydraulic power units and many other high-quality technical products. All our custom-made total solutions meet the highest possible standards and are available worldwide. 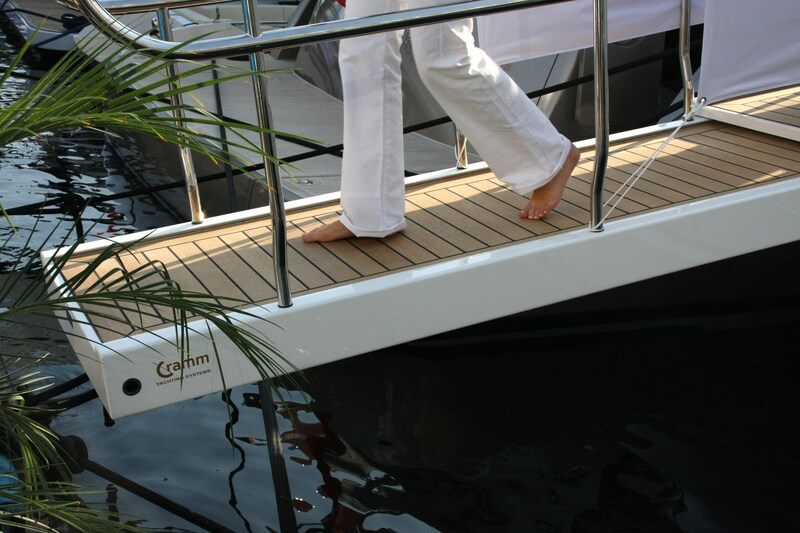 The entire organisation of Cramm Yachting Systems is designed to realise the wishes and requirements of our clients to the best of our abilities. We take full responsibility for our part of any project and make life easy for our clients. Cramm is therefore the ideal, reliable project partner for shipyards and superyacht owners worldwide. Our focus at Cramm Yachting Systems is always on the client. From the tender stage, we work closely together to develop solutions that seamlessly match their demands. Clients have a permanent point of contact with our carefully selected project team at every stage of the project. Key issues in this respect are reliability, trust, shared knowledge and close cooperation. We use all our expertise, know-how and high-quality materials to meet the demands of our clients to the fullest extent and satisfaction. Our motivated employees and highly qualified technical staff play a key role in delivering the superior maritime products and optimal service for which Cramm is renowned.